Today is the first day of a brand new year. Today is the day to make resolutions and goals. Today is the day that we can look forward and make positive changes. Today is the day to make a difference to the year ahead. Today I want to share with you my personal story, from my childhood to now, through tears and triumph, and how I have become the person I am today. So grab a cuppa as this maybe one of the longest post I have shared. Many women compare themselves to others, it’s very hard not to. You can see others with what seems like perfect lives, lovely homes and no worries in the world. But reality is it is so easy to hide behind a smile and appear happy on the outside, which is why it’s really important not to look at somebody and compare yourself to them. This is why I want to share my story with you especially on a day that can be used to start with a new mindset and to have hope that your dreams are possible. I have lived on the Gold Coast my whole life, living most of my childhood years with my parents and two younger brothers on acreage in the Gold Coast Hinterland. I rarely kept my room tidy and one of my terrible tendencies was to kick my dirty clothes under my bed, ooh I remember always getting into trouble for this. My mum and dad were lovely they drove us around to various music and sporting commitments, they were supportive parents. I grew up with wonderful friends, we all still keep in contact today. We don’t see each other often, but when we do it’s like we only just caught up last week. Such a lovely friendship. Growing up I idolised my grandmother, she always kept her home tidy and clean. 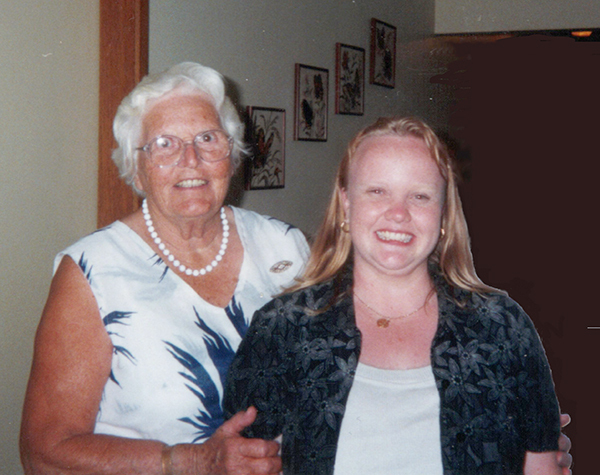 One thing that I remember delightfully about her was that whenever we visited she always had home baking ready for us. I would spend my school holidays with her, crafting, baking and I would help her with the housework. Growing up I just wanted to be like her, plus I always wanted to be a typist/secretary, I had such fun learning how to type on a typewriter as a child. I was an average grade student, terrible at maths and just barely passed English. My husband Scott and I went to high school together, but we rarely talked, our love story is very sweet, but too long to share with you today. However, to cut a long story short we have been together since the night of our school formal, the 2nd last day of high school. 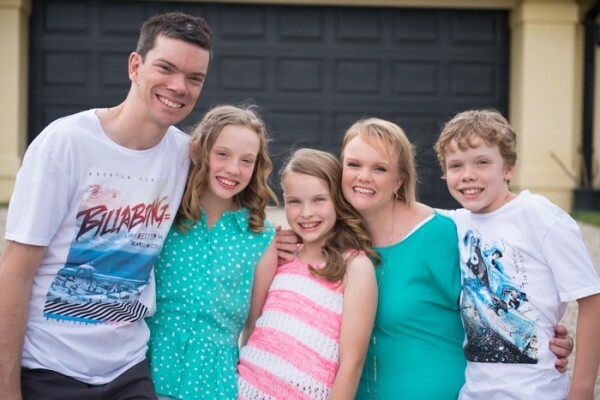 After high school I studied business administration at tafe and Scott studied very hard at university, getting his Bachelor of Business majoring in Accounting and Commercial Computing, which has lead him into a successful career and now running his own Virtual CFO Services business. From the last day of high school and throughout the following few years we were inseperable, working and studying very hard. 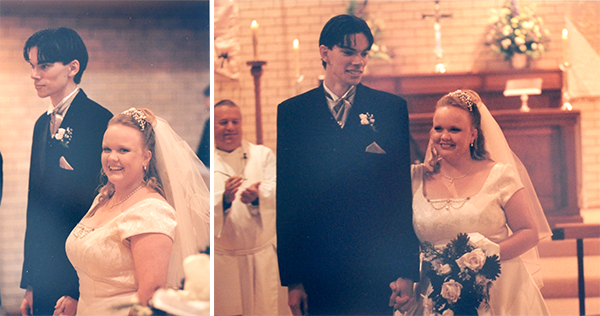 We married 4 years after we started dating, he was 20, I was 21. We had both our families full support and don’t ever remember anybody commenting on how young we were. I married my soul mate and have no regrets getting married so young. We didn’t have an extravagant wedding or honeymoon, instead we saved our money and purchased our first home shortly after we got married. It was a small home, but suited us perfectly. We both worked full-time, we weren’t home much so it stayed somewhat tidy. Cooking for two didn’t require many dishes so keeping the kitchen tidy wasn’t too much of a chore. I did the washing on weekends usually only ever two loads, which was easy to keep on top of. We shared our responsibilities around the home, cooking and cleaning. I usually ironed while he mowed the lawn. But the dining table was my downfall, it was my dumping zone and was often very untidy, I would come home and dump the mail, my handbag, lunch bag, shopping on there and it would stay there. I fell pregnant with twins of which I had issues from the very beginning of my pregnancy so had to stop work in my first trimester. I was constantly tired and slept a lot. 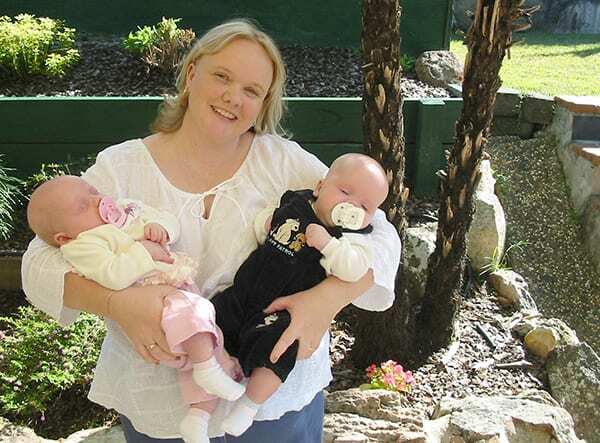 Being that I was short and as you can imagine my stature pregnant with twins I couldn’t fit behind the steering wheel of my car to drive, so for most of my pregnancy I was homebound, which did become very lonely. It was during these months that I found my love for baking, making delicious homemade muffins and biscuits to put in Scott’s lunchbox for work. Dinner was on the table when he got home, I started organising all the drawers, planning the twins nursery. I was in my element, thoroughly enjoying being a ‘housewife’. Then the twins were born, I was 25. Two bundles of absolute sweetness a girl and boy. Babies take up a lot of time, feeding took a good hour and a half at times, bathing two babies, giving them each cuddles, the amounts of washing that started to pile up, the dishes that I didn’t find time to do, the sweeping that I put off because I was too tired and no time to fold washing. 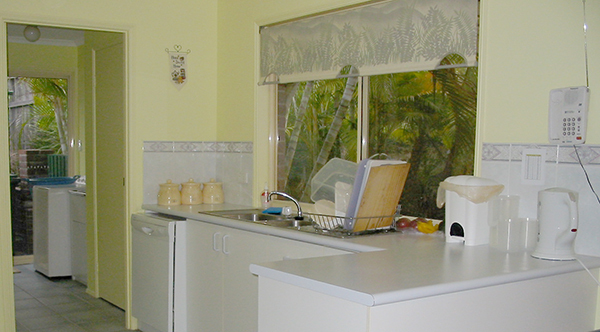 My house turned upside down and wasn’t so controlled, clean and organised as it had was before their arrival. It wasn’t uncommon for me to always have bundles of clean washing on the floor. After a few months (yes it took that long) I regained my energy. I think we like to think of ourselves as superwomen, that we will bounce back the week after having a baby, we shouldn’t’ put that pressure on ourselves. I then learnt that I had babybrain (common symptom of having kids I hear lol), I was very forgetful, and remembering to put a load of washing on in the morning just wasn’t priority with crying babies to deal with. To get some order back into our home life I needed to create some routines. Before the twins were born we had a routine, we cleaned, washed, ironed, baked etc all in one afternoon which was no longer achieveable. So I spilt up my tasks and dedicated specific day’s for particular jobs. From that day forward I have kept to a routine. Monday was grocery shopping day, Tuesdays I cleaned the bathrooms and tidied the house, Wednesdays I cleaned the floor, Thursday and Friday I had off and hubby would help with some tasks over the weekend. 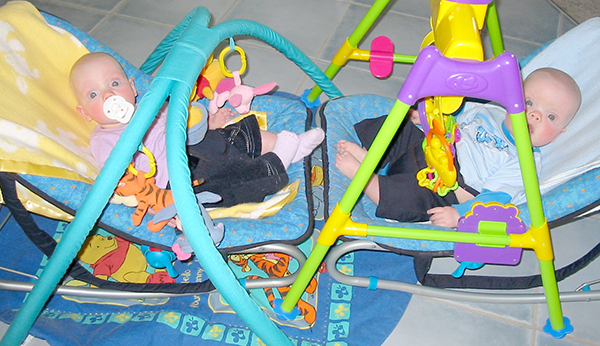 Splitting the workload over specific days meant I could get the jobs done around the house when the twins were sleeping or happily playing. Two years later we welcomed our youngest daughter and had moved into a new home which we built, two if not more times bigger than our first home, it had all the rooms we wanted for our growing family. Having 3 kids 2 years and under and was a struggle in the early days, but I had a routine for the twins down pat so I managed to work the new baby into their routine. I had many days that washing was piling up, clean and dirty, that I didn’t have the energy to clean the house or that the kids just drove me crazy. I did find some days being a stay at home mum just like groundhog day. I would often put the kids in front of the television and have a little cry behind closed doors in my bedroom. I was happy but just tired which toyed with my emotions. In the end it’s all about balance and routine. I found my mindset and emotions were a mess when the house was a mess, but when the house was tidy I was much happier. There is a difference between tidy and clean, 3 kids under 3 didn’t leave much time, I soon learnt that I was happy enough when the house was tidy and semi clean. Tidy and perfectly clean was too much expectation to have on myself, this is the balance I mentioned before, work out what sets and changes your mood. I am a very messy cook and can easily mess up the whole kitchen while cooking dinner. To wake up to a messy kitchen was a terrible way to start the day, it messes with my emotions, making me cranky and moody. So this is the one task that I always make sure that I do before I go to bed. With these routines in place I found my happy place and I was thoroughly enjoying being a stay at home mum, we did try for baby number four but sadly it wasn’t meant to be. When my youngest started school I decided to take that year to help and volunteer at school and then I would return to work the following year. While the kids were at school I cleaned the house and baked them something yummy for after school, but that again became like groundhog day, soon I became really really bored. I told my neighbour I was thinking of writing a blog, sharing how I keep my home, create a collection of my recipes so I can use it as an easy reference, she said “how dull, who would read that”. 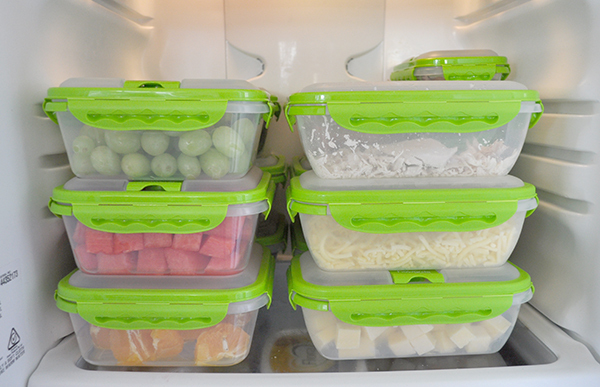 But another friend loved the idea and helped me name it, she said she had always considered me to be an Organised Housewife (mostly based on my organised fridge). So I created the blog in August 2010, where I now share my ideas on how to stay organised, my recipes, my routine charts + many more printables and my decluttering tips. I want to share with this community that if you are struggling, you can gain back the control, to have a home you enjoy to spend time in and create calm to replace the chaos. I’m not saying what I write about is the right way, but to adapt my ideas to suit you and your family. A huge thank you to you, the community, for continuing to come and read my blog each day, I never imagined the day I started that so many people would be reading it today. Two years ago I very suddenly lost my my mum to a brain tumor. As I mentioned above, I rarely asked my mum for help, I was always waiting for her to offer, to want to help. 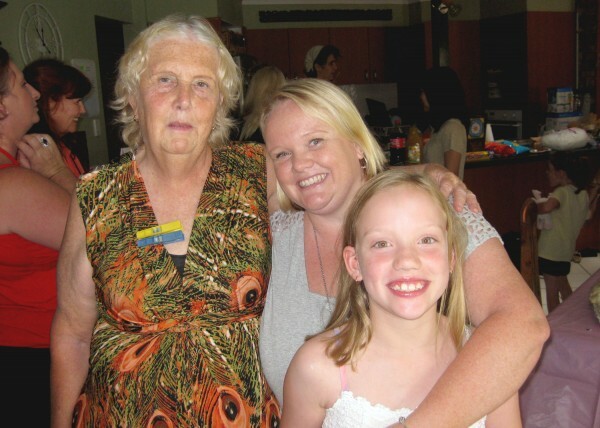 It was sadly after she passed away I learnt that all she wanted was her daughter to ask for help, to need her. This broke my heart, my stubbornness of wanting to prove I can do it myself, I am under control, could of prevented a lot of heartache and resentment. This I wish I could do over, I don’t think there should be any shame in asking for help and your are not only doing yourself a favour but somebody else too. I miss her dreadfully and so sad that my kids are growing up without her. The past 18 months I have lost 40kg with the help of weightloss surgery. It was the best decision I made for my health and my family. I am feeling healthier and fitter, but I still have quite a way to go to reach my goal. I am really enjoying some one on one time with my eldest daughter who is now joining me at bootcamp in the mornings. This year my kids are all starting a new school, the twins start grade 7 and the youngest grade 5. I can’t believe how fast they are growing up, in years and also height, the twins are taller than me (I hear you chuckling, I know that’s not hard considering how small I am!! LOL). I am really excited about the year ahead. I am so proud of my family and adore my kiddies. So looking back in my early years of what I wanted to be when I grew up, like my Nan and to type, seeing how I have filled the past 4 and a half years I consider myself very lucky as I am doing my dream job. 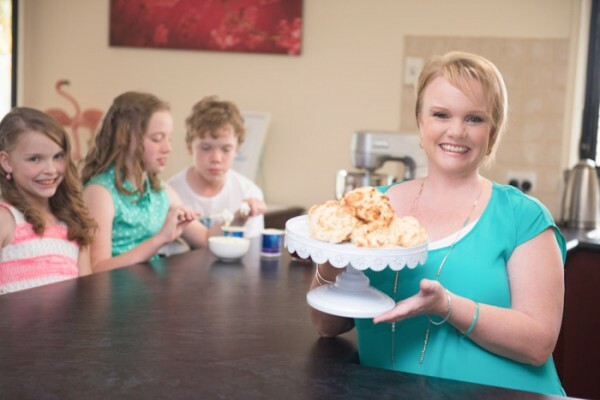 I am a mum, I bake all the time and I am sharing all this with you by typing up my blog posts each day through what is now my business, The Organised Housewife. Tell me a little more about you or what your goals are for this year? Wow, that is an amazing account, Kat! Thank you for sharing your life with us. I really enjoy your blog. 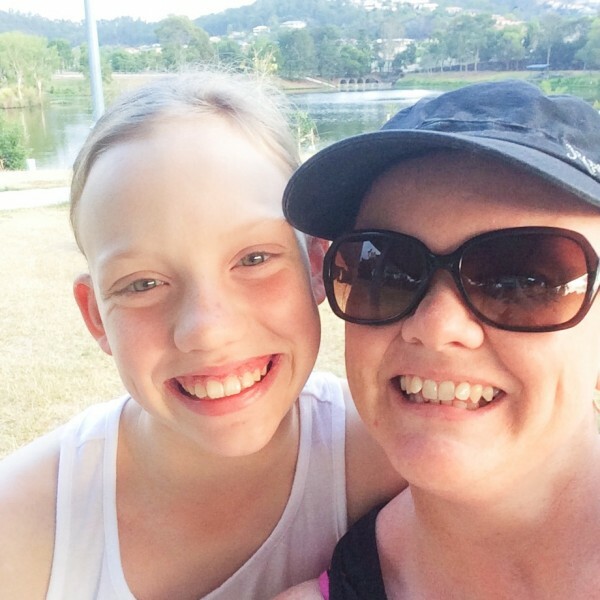 Snap – I was also a Mum of 3 under 2 for 6 months! Now we have 3 under 6 and our twins have just started school this year, leaving one pre-schooler so I am looking for some practical ways to get organised. Stumbled across your website and really appreciate the practical emphasis. Venturing into school lunch territory, it’s great to have access to some resources. Kat. Great writing as usual! I love how that you’ve actually fulfilled your dreams of being like your nan and made a business out of it! You continue to inspire us all! Hope you have an amazing 2015!! thank you for sharing about yourself. it is so nice that you don’t just tell us all the good things but that you share your difficulties as well. I have wondered if you ever found the quilts your mum had made that were getting quilted? todays post reminded me of them. i have married daughters and I always try to be available to help them out and am very thankful that they allow me to help out too. For some reason your FB posts stopped showing on my feed and I stopped seeing all of your stuff. It took a couple of months for me to realise that this seemed to coincide with my feelings of being overwhelmed with everything. I have started to see your posts everyday again (and a couple of others) and I am starting to feel very positive about 2015. My two great aims for this year are to get on top of the house clutter and to start putting me and my health first. We’ll see how that goes. So from one definitely unorganised housewife, thank you for sharing your tips and ideas and making it seem possible for me to become organised. Now, if only the kids would get on board! Wow I loved reading your story Kat, and bumping into you and your gorgeous family the other day in Tassie was so fantastic! I’m giggling that someone said ‘who would read that’… umm, just a few ppl, hehe! Have a fantastic New Years, and I look forward to following along for more advice, recipes and inspiration! Thank you for sharing your story. I love to see someone keeping it real. Have a fabulous 2015 and keep up the good work. ???? Thank you for this beautiful post and thanks for sharing your story! Hi Kat. After reading your story today I feel quite emotional. On reflection I realise how much of your heart you carefully put in to TOH, you have integrity and wisdom which also come through and it speaks volumes to me. Thank you, Happy New Year. Thanks so much for sharing, I loved reading the story behind The Organised Housewife. Your story resonates with me on so many levels, it is really quite uncanny! I too, have gained so much from reading your blogs and all your ideas, tasks and tips. I have been working so hard over the last month or so on decluttering and am now seeing the light at the end of the tunnel and I LOVE that feeling! ???? I feel so ready and right in my own headspace to now keep going without feeling so overwhelmed with the task ahead. I am also now ready to dedicate more time to my own health and well being, so Thank you, it is a very special gift you have shared ?? Hi Cat. I have loved reading your story – thanks so much for sharing. I am really looking forward to following your tips, recipes and ideas in 2015. Happy New Year! Thanks so much for sharing. I especially liked the part where we shouldn’t be afraid to ask for help! Too much in the media these days about being everything to everyone! Loved this post! And this is why I follow you & your blog! You are an amazing woman who inspires so many. That is my ultimate goal – to inspire others! Thank you for being you Katrina! Thank you for sharing, So many things you spoke about I can relate too, i also have twins who are 3.5 and my eldest is 5 ( starting school this year!) 3 under 2 was not easy, 3 young ones is not easy either! The washing is endless but thankfully the hugs and kisses are also! Keep up the great work! sounds very familiar. Thanks for sharing. Thanks Katrina. I really identify with your point about recognising the triggers that make you happy or sad. I feel much better when everything is clean and tidy, but most days it feels like I’m fighting a losing battle when everyone else seems hellbent on making mess and not cleaning it up. My biggest problem is that I’m lazy about the house, easily discouraged and everything piles up, gets messy & dirty, I get cranky and even less inclined to do anything about it! Too early to see if I can maintain it, the real test will come when I go back to work at the end of January. Ah yes…. the piles of clean washing all over the floor! Thanks for sharing, I just assumed you were one of these Born Organised people – even more inspired now! Hi Katrina, I have recently found your blog (just two weeks ago). I already love it and have enjoyed reading this post. We are renovating at the moment and after a year of living out of home, I’m itching to get back home and start implementing your tips and ideas into my everyday life. Thank you. Thanks for sharing Kat. You are a true inspiration and I must admit my role model :). It is so refreshing to read your blog and posts each day and your tips and tricks have assisted in keeping my sanity after having bubs number 3. Happy New Year to you and your family. May 2015 bring good health, happiness and those special moments to treasure. ???? Loved reading such an honest account of your life. I’ve struggled with weight and clutter my whole life. I certainly understand that the state of my mind is reflected in my house! Something my hubby doesn’t really appreciate, unfortunately his personality is a “everything in its place” type, so we struggle a bit. Thank you so much for inspiring me and helping me to realise that it can be done, and not to be overwhelmed, but to focus on small steps. Happy New Year! My life has been routine free for a few years and it has been hard. I’m seeing a little bit of light for 2015 being more stable, which I could really use! I love your blogs and ideas. I was a workaholic till my eldest son was diagnosed with autism, deaf, ADHD and severe sensory disorder I cut down work to focus on my family. Reading about your mother, that must have been hard because I havent seen my mother since February last year and I don’t know how I feel about it… my mother and I are beyond repairing but I do feel sad for my children to miss out on a wonderful grandmother…. I am so afraid but thank you for sharing your story. I love my life on the Gold Coast too. You are one hellava woman!! Meant in the sincerest way, I came across your blog a while ago (sorry i just can’t remember) but your the only blog and website I ALWAYS recommend and read/use. Why, because you provide invaluable information to us all that is not complicated, your Australian based and as you say “Not Sugar Coated”. We can all find something we can relate to or cringe at, especially about what kids can be getting up to, having 3 daughters of my own, the attitude is what I just Love (NOT). I started my own business in March 2014, cleaning holiday homes, rental properties and residential homes. I have been getting busier and busier through word of mouth and I think for now I’ll stay that way. I would like to use this new year to establish some sort of routine for the family and work. It really is a juggling act for Mums and Dads. I have always had routines and gotten off track at times but you get that little remind from the inner voice within you saying it’s time to change or get back on track. My partner and I have been together for nearly 16 years now and I said right from the start, Life will be a roller coaster ride never a Merry-go-round. You can get through ups and downs, or you can stay in a constant whirl of being dizzy or just stop and do nothing/achieve nothing because your at a stand still. I’m enjoying the roller coaster ride and I particularly like reading your blogs of your ride through life. You and your family show us all what it means to be human and especially at the end of it all what it means To Love and Be Loved in a Family. Congratulations to you Katrina on a well written post and may the New Year bring Love, Prosperity and Good Health to you all. Thank you for sharing your journey. Keep up the great site, it is inspiring. May 2015 be a great year for all. Hi Kat, you are so inspirational. It is difficult having a family and being so organised. My friends can’t beleive how I manage to do all the things I do. Sometime I don’t cope and it is true a tidy house is a tidy mind and you are able to see things in a more positive and feel better in yourself. Having all my kids left home we are now raising our granddaughter due to her mother’s health. It’s just like doing it all over again but with your blog I can relate to a lot and all your daily tips are great. Your twins are the same age as our granddaughter so I love hearing what they are up to. Thanks for all your effort and ttie it must be very rewarding for you to know you have made a business out of your blog. Thank you for being you which makes us feel half human as well. Happy New Year Kat. Thanks for sharing. I have been very ill for many years, thats why my house got a mess. I’m slowly getting my health back, and you are helping me to get my house organised and decluttered for the last 2 years. Slowly my house is getting better, I still have to do a lot, but I’m getting there. So thanks for all your great tips and ideas. Thank you so much for sharing your story. As I sit here on a Friday night, soo exhausted from a huge work week, but with no energy to tackle what seems in my mind an overwhelming amount of housework, I am inspired by your post and how just breaking the tasks down makes everything achievable. God bless you and your family in 2015. Thanks for blessing all your readers. Beautiful !! I so loved reading you post today. Happy New Year to you and your family. Happy New Year to you and your family. I really enjoyed reading your story. I’m glad you didnt listen to your neighbour – otherwise we mightened be reading your post each day. You have a beautiful family so keep writing and inspiring us all. When I was home with my 3 children I was organized and loved being a Mum….I went back to work when my eldest was 15 and the youngest about 9. As I was working in a school holidays etc were never a problem. I will retire on 19/1/15, and am so looking forward to bringing my house back into order. We have a lot of decluttering to do. We have lived in our house for 36 years. Just thank you for being honest and keeping it real! Hi Kat and thank you for sharing a bit more of yourself with us! Love your blog…especially recipes and tips. Just wanted to take this opportunity to also let your know that you have been inspirational to me by sharing your gastric sleeve story several months ago now. I am now 4 weeks post op and looking forward to all that 2015 will bring especially a healthier happier me! Thanks for playing a part in my journey and good luck to continuing success with yours. thanks so much for sharing your story. why is it you always seem to post the things i need to read/hear?! i have become so overwhelmed with it all lately, trying to be ‘perfect’ as for some reason i have been comparing myself to others and have failed miserably at even slightly measuring up to what i thought i should be. once again you have opened my eyes and put my heart at ease. its time for me to gain back my routine and control of what i have and to stop comparing myself….in home, life, self and parenting. you truly are a lovely person and so insightful. so many thanks to you and here’s to a wonderful 2015!!! Your beautiful Kat. Loved reading your story . So inspiring. Been a admirer of your blog for some time now . Keep up the awesome work 🙂 Greetings from Melbourne. Thank you for sharing your story with us, and I like the idea of having certain days to do things it makes life easier and that is how I am going to start my new year off, starting tomorrow 5 January 2015. Wow, what a story to tell, I find you an inspiration with all you have done. I am a 62 year old grandmother who still works fulltime & find your blogs to be so interesting that when I look at what you put as your “daily tasks” I think ” that sounds good”. I don’t always have the time to do the tasks but at least the idea is there for when I can. Thank you for sharing you thoughts & ideas & I hope you continue your blog for a long time to come. Wow, Katrina, that was so personal, thank you for sharing. I am all about balance, and it is great to hear that from you too. It is also good to have a reminder that we never know what is happening behind closed doors, and how someone might be struggling. I so look forward to reading your posts and at the moment I feel very inspired to get going and clean up! I really want to create routines for myself, and have a wonderful home to retreat to. I am taking a long trip in April, and I want to have most of this sorted out before I go, so that I return to somewhere fantastic, and am delighted to come home. Thank you again for sharing, I do appreciate it. Ooh wow thank you so much Jess! I look forward to hearing more about your routines and hope you have a wonderful trip in April! It’s so wonderful of you to share these parts of your life with us (good and bad). After a while we (readers) start to feel like we know the person behind the blog but this is just taken it a step further, I’m so glad you are achieving your goals, the feeling of achievement is one that can never be taken from you. I looked forward to reading your next post. I found your blog via pinterest as I searched for DIYs and craft ideas for keeping me a bit sane in the midst of feels-not-working-today. haha. I used to work as an engineer and running a small fnb business but in my heart, I’d love to be a housewife. Thanks for sharing your story and they are inspiring! Really. Keep up your spirit and I hope 2015 will be a great year for you and your family. Ooh thank you! I look forward to sharing so much more this year on the blog. Thank you for sharing your story and all tips I think you are an inspiration, a breath of fresh air with realistic, fantastic and wonderful ideas for real women. I am only just getting to read this NOW! Thank you for sharing your story and for making this ‘job’ real. Too often SAHM’s are seen as ‘not working’ or ‘sacrificing’ their life and identity for their kids / husband. I chose to focus on my little family for a few years and do see it as a REAL job – complete with alarm to wake up, routines, keeping food creation and store, teaching and learning, chores and social events on track for the entire family. Not to mention the moods, bickering and sibling rivalry at bay! My hubs works long hours and I work very hard to achieve balance and find it both rewarding and exhausting. Love your posts. That is an amazing story Kat. Mine is soooo completely different but we are still looking for the same result – peace, harmony and organisation in our lives. 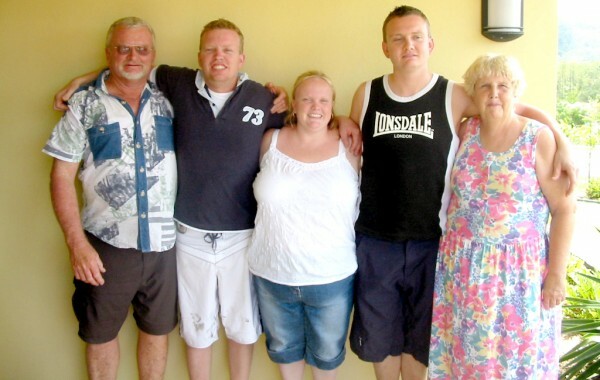 My story in a nutshell – I have 2 daughters & my partner has 4 daughters (they range from 36 down to 20 – all grown and left home now but 4 live in the same town as us and there is also 8 grandchildren here as well aged from (almost)13 down to (almost) 2). Love them all to bits and enjoy them visiting. On the downside, I suffer from ongoing clinical depression and generalised anxiety. It can range anywhere from mild to severe depending on the day so it means I basically am a really good worry wort, painted happy face and am constantly fatigued – usually sleep 8-9 hrs per night as well as a good 2 hrs during the day. But, having said that, I am a fighter, and don’t intend to allow that to hold me back (too often – obviously sometimes things get out of control and I am just in ‘get-through-today’ mode). I try and manage my crazy head issues and I also work in my partners businesses and self-manage our own affairs including 6 rental properties, self managed super fund, and other random stuff (if only we’d stick to one type of industry right? lol). Some days this isn’t so bad – pretty cruisy – but some days it is like a storm from hell – everything that Murphy’s Law says can go wrong does!! And I like to keep a tidy home – and we have a big home – 7 bedrooms type big. Crazy for only 2 of us right? But somehow we manage to use the space between bedrooms, toy/play rooms for the grandkids, home office, etc. Anyhooooo, I am hoping that your blog/website can help me to organise my home and help me find a routine that can fit in with my work/life and bring me harmony and enjoyment back to our lives. Enjoyed reading this with your pictures from here in Seattle, WA. Such a refreshing story of doing the next right thing. I, too, am motivated by new years resolutions. Started reading books as that always fell with good intentions. I’m loving the down time it brings. I just read a little every night and it is calming. Now I know why people are avid readers. I’m certainly not there yet. But goes to show that we can decide to do something, to be someone, with a little determination. Also love that you created the blog even though someone first discouraged you. Thanks for your determination! I am not naturally clean. I can sleep just fine with dishes in the sink. I also love to cook and bake on the fly. I now enjoy meal planning since it makes better sense. I know it makes for a more peaceful life to stay on top of necessary tasks like ensuring the house is tidy at the end of the day. So I do it all, even though it isn’t how I’m wired. “That just isn’t me” is not a good mindset. Who do you want to be? What do you want to do? Take the small steps of determination to get it done. Cheers to you! Thank you for sharing your very personal but very real story with us all. I am parenting grandparent to a boy of 9 who has autism and just last month, I became a full time mum and housewife after working full time for the last 8 years (my husband and I role-swapped and now we’ve done it again). I am thoroughly enjoying being home, and don’t mind admitting that I have finally realised my life long dream, to be a housewife and mother just like my mum. I never wanted to be anything else and yes, she had special days for particular chores too (Monday wash day, Tuesday ironing, Wednesday floors, Thursday grocery shopping etc). I thoroughly enjoy reading your blog and receiving the daily email tasks and I look forward to sharing in your inspirational tips for as long as it pleases you to do so. Hi Kat, your story is so lovely to read. We all have amazing stories to share and can learn so much from each other. Reading others peoples ideas on declutter and reorganising is amazing. We all have so much to share and so many different way of doing and seeing things .When I was a young married mum and things would get on top of me I would Springclean and declutter my whole house out from one end to the other, then I would feel like I was rebalanced. Hi Kat, I am moved by your story. I am naturally really messy and disorganised and often feel overwhelmed and ashamed thar I can’t “get it together”. I’m a teacher part time and mum to 2 gorgeous and emotional teen girls. Life’s busy at best, chaotic at worst. Your story has inspired me to try to get organised but not get down on myself. Thanks for sharing and best wishes to you and your family. HI Nicole, life can get so busy that the house can get a little out of control. Hope you can find some tips to help you from the blog. Hi Katrina – thank you so much for sharing you life. I think it’s a wonderful thing to share your ups and downs and remind other women to care for themselves and their family. I’m an older mum (42 this year) and returning to full time work. My kids are now 8 and 6 but I’ve never managed to get on top of cleaning and cooking. I know that I have to set a good example for my kids – creating habits and having a positive, gracious attitude to keeping home and belongings clean and tidy. Otherwise I just become the mum who screams at her kids when the place gets too gross to put up with. So my goals for this year are to create my own cleaning routine and habits and set a good example for my kids. Hi Kat – just want to tell you how helpful your advice is, altho’ I’m 71 and have downsized to a small 72sq flat on the edge of the city in canberra. Just one daughter and no grandchildren. If only there’d been something like this when I was a young mum – I just used to feel so overwhelmed. Still feel overwhelmed, but the great thing about your suggestions is that they’re so ‘doable’ eg a few weeks ago you suggested weeding out winter clothes not worn. I did this and took a bag to Vinnies, and I’m about to do it again with the ‘hardly wore it’ stuff.But I’d been thinking “I must go through my wardrobe and reorganise for summer’ and this was too daunting, so I put it off. Your story has really touched me. Not because it is a story of amazing and wonderous things the average mother will never experience, but because it is a story of amazing and wonderous things the average mother DOES experience. I struggle with the cooking, cleaning, paying the bills on time, and generally coping day to day. 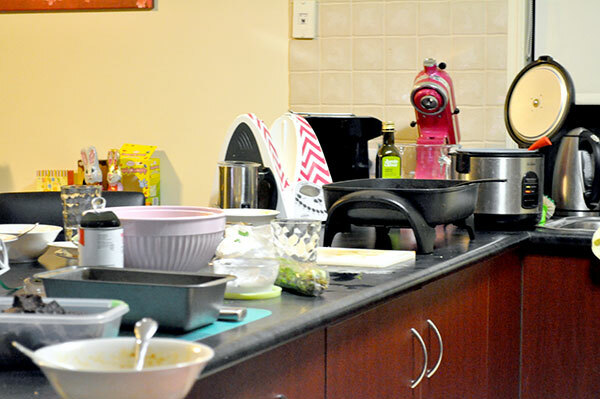 When hubby does come over, he gets angry and says the house is not tidy enough and the kitchen has dirty dishes. (my kids refuse to help me saying cleaning is not their job). I try but I can’t do it all. I plan to use your tips and recipes and get my life in some kind of order, get a routine in place and some sanity back. The recipes seem great. I like the recipes and now money is tight, I plan to print them out and use them. thankyou for your website and the help it offers. Sanity saver. You are such an inspiration. I am a fairly new blogger and SAHM of 4. I totally relate to your posts. ?? Hi Katrina , I have been following you on instagram and just flicking over your blood for the past year. Tonight I decided to really have a look and read your story. I’m a mum of 2 girls aged 17 & 21 my 21yr old lives out of home with her friends. My 17 yr old lives with us and has a 2 yr old little boy, she a young mum , but a very good mum. Almost perfect ?? I use to be very organised when my girls were little then I went back to work and everything fell apart. Since our grandson has been born I’ve tried to get back on track. Some days I can do it and others I’m exhausted. I only work part time now , I’m here for extra support for my daughter as she’s also a single mum. I’m going to start really looking properly and your blog and putting things into place in my own home. I look put together on the outside but don’t look to close on the inside, it’s a little messy and cluttered in some spaces not all but some. Oops that’s supposed to say blog not blood ?